All women need vitamins and minerals in one form or another. In order to function properly, our bodies require certain nutrients that we just can’t make on our own. 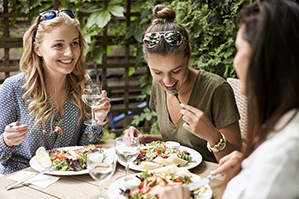 What Vitamins and Minerals Do Women Need? Most experts agree that the best source of these essential nutrients is whole foods. Eating a varied and proportional diet of fruits, vegetables, whole grains, and healthy fats can help ensure you’re getting a full range of nutrients. Still, the reality is that many of us have imperfect or restricted diets that make it difficult to be sure we’re getting enough of the right nutrients to fend off symptoms of deficiency. When you don’t get enough of a particular vitamin, you run the risk of serious health problems. That’s why taking a well balanced multivitamin is so important. A daily multivitamin is like an insurance policy for those occasional dietary slip-ups (which may happen more often than we’d like to admit). A multivitamin saves money compared with buying dozens of individual bottles, and the nutrients will generally work better as a team. All B vitamins are important to a woman’s health. However, three B vitamins in particular – vitamins B6, B12 and folic acid – are especially essential. These B vitamins are indispensable in brain function, red blood cell formation, and building DNA. Also known as pyridoxine, is required for the proper function of sugars, fats, and proteins in the body. It is also required for the proper growth and development of the brain, nerves, skin, and many other parts of the body. B12 Research suggests that vitamin B12 plays a key role in helping your brain function, boosting energy, and supporting your immune and nervous systems. Like the other B vitamins it is important for metabolism, normal cell division, and protein synthesis. Folic Acid Also called folate, is essential in the development of the central nervous system and prevents alterations to DNA. In addition, if you’re pregnant folic acid helps support fetal neural tube development for your baby’s spinal cord and brain. 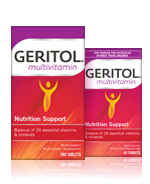 The use of Geritol multivitamin has not been studied in pregnant women. It is not a substitute for your prenatal vitamin, so if you are pregnant or planning to become pregnant, talk to your doctor about your specific nutritional needs. Antioxidant vitamins include vitamin A, vitamin C, and Vitamin E. In their antioxidant form, these vitamins help protect cells by neutralizing harmful free-radicals. Free radicals have been shown to disrupt and tear apart vital structures like cell membranes. Antioxidants take away the destructive power of free radicals. Vitamin A Aids in the building and strengthening of bones, soft tissue, skin, and mucous membranes. Vitamin C Also known as ascorbic acid, aids in wound healing and plays a role in the formation of red blood cells. Vitamin C also boosts levels of the brain chemical noradrenaline, which helps increase alertness and concentration. Vitamin E Also known as tocopherol, plays a key role in the formation of red blood cells and in the maintenance of cell membranes. In addition to assisting in a myriad of other functions, your body needs Vitamin D to absorb calcium and promote bone growth. Too little vitamin D results in soft bones in children (rickets) and fragile, misshapen bones in adults. We’re giving out bonus points to the following vitamins for women, which will be more or less essential depending on your life-stage and dietary habits. Iron Vegetarians, women of childbearing age, pregnant women and athletes may all be vulnerable to iron deficiency. Iron helps your red blood cells transport oxygen to all your body’s tissues. Without enough, you may experience symptoms of iron-deficiency anemia which may include: weakness, tiredness and irritability. Calcium Calcium is crucial for strong bones— especially for women, who are five times more likely than men to develop osteoporosis. Calcium is found in many foods, but it’s a good idea to look for a multivitamin containing at least some calcium, to help supplement your intake. Vitamin K Vitamin K plays a key role in promoting strong bones and maintaining normal blood clotting. The above list of vitamins for women is just a guideline. Always consult with your health care practitioner before beginning any supplement regimen. Ask your doctor about Geritol! Geritol® multivitamin is specially formulated with just the right vitamins in just the right amounts so you can feel your best! Remember, vitamins can’t replace a healthy diet, but they can help compensate for what you’re missing—and give you peace of mind as well. 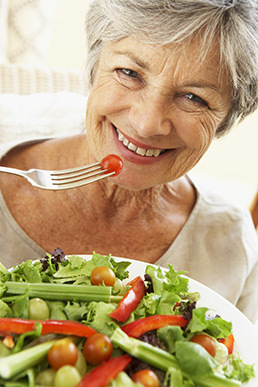 Essential vitamins for women at every age. 2005-2013. WebMD. Retrieved from: http://women.webmd.com/guide/essential-vitamins-for-women-at-every-age January 8, 2013. Vitamins and Minerals: Understanding Their Role. HELPGUIDE.org, Colloboratoin with Harvard Health Publications; Harvard Medical School. Retrieved from: http://www.helpguide.org/harvard/vitamins_and_minerals.htm January 10, 2013.